A rising number of Armidale juniors are being selected to play at higher representative level. Players first gain recognition at Northern Inland level and may be selected from there to play for Central Northern at either Kookaburra Cup (U14s) or Bradman Cup (U16s). For players in the U13s, U14s and U16s age group the ultimate goal is to be asked to join the Country Sixers Riptides (formerly Northern Razorbacks), a team made up of combined Central Northern and North Coastal players. The U13s and U14s Riptides contest the State Challenge in Dubbo in January and the Under 16s State Challenge is held at the end of the season. Players may be invited by Northern Inland Cricket Council to trial for selection to Northern Inland representative teams. Northern Inland U13s, U14s and U16s teams play their first games at the Central North Invitational Carnival held over the October long weekend in Tamworth. A Northern Inland U15s team is also selected to take part in the Hunter Valley Junior Cricket Council U15s Carnival in Maitland in January. Following the CN Invitational Carnival in Tamworth in October, the Northern Inland U14s and U16s teams play approximately two further games against Hunter Valley during term 4. Players would hope to gain selection from there to represent Central Northern Zone at Kookaburra Cup (U14s) and Bradman Cup (U16s) carnivals in January. Regional NSW is divided into eight zones. 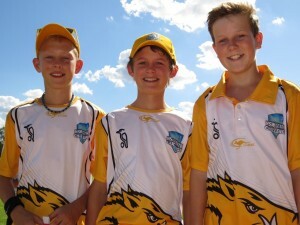 Our zone, Central Northern, includes players from the Northern Inland and Hunter Valley Junior Cricket Councils. Selected players from Northern Inland and Hunter Valley combine to form Central Northern teams. Central Northern zone is quite a large area and spans Cessnock, Maitland & Singleton in the south, Coonabarabran, Narrabri and Moree in the west, Inverell and Tenterfield in the north, with Armidale being perhaps the most easterly branch of this region that also includes Tamworth. Central Northern Under 14s and Under 16s teams compete against other Country NSW/ACT zones at Kookaburra Cup (14s) and Bradman Cup (16s) carnivals in January. In 2015, Cricket NSW inaugurated the State Challenge for U13s and U14s boys. Following Kookaburra Cup, a team of selected players from Central Northern and North Coastal zones will combine to form the Country Sixers Riptides (formerly Northern Razorbacks). Teams are also chosen in the U16s age group following Bradman Cup. The Riptides is one of four Country NSW/ACT teams that compete, along with the four Sydney metropolitan zone teams, at the U13s and U14s State Challenge in Dubbo in January. This carnival is currently the pinnacle of competition for boys in these age groups and showcases the top one hundred players from NSW and the ACT over the four days. The U16s State Challenge is played later in the season. In 2015, the inaugural year of the State Challenge, Armidale had three players selected for the Northern Razorbacks. Henry Smith (wk) and Kieran Dennis competed in the Under 14s and Henry Sindel competed in the Under 13s. In 2016 Henry Sindel was again selected, this time as an Under 14s player. Joining him were Nick Page and Benji Marshall who both played in the Under 13s team. Recently Sam Johnson was selected to play at the Under 13s State Challenge in January 2017. The under 14s selections were made following the Kookaburra Cup U14s carnival in early January with Nick Page and Cotter Litchfield being selected to play in Dubbo in January 2017. Following the 2017 Bradman Cup, Jackson Gwynne was selected to play at the Under 16s State Challenge in April. Regional girls’ cricket is run under a separate system to the boys. In 2016/17 the contact for Northern Inland is Peter Graham. Email Peter for more information on the Northern Inland Female program and the Central Northern Girls’ Cricket Academy. In 2016 two Armidale players were members of the Central Northern Girls’ Academy. Kareena Dawson (U15s) and Alex Patten (U18s) attended the Academy during the winter of 2016, and then represented Central Northern at the Country Championships in Tamworth in September 2016. 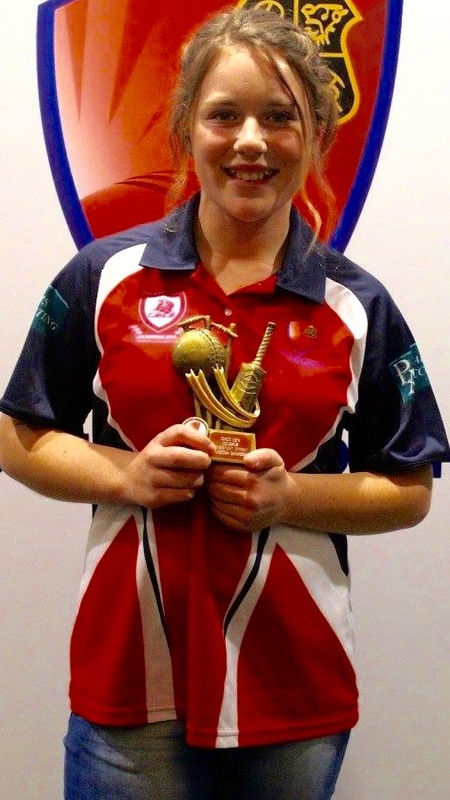 Kareena was then selected to attend the U15s State Challenge in Raby the following week, and from there has been selected into the U15s ACT/NSW Country squad for the Women’s National Championships.